Dell has unleashed the Alienware 18, a meaty gaming laptop that pulls no punches in the performance department. A tempting option if you've got deep pockets (this is Alienware we're talking about), the Alienware 18 is a limited edition model. As its name suggests, it packs a 18.4-inch display with full HD resolution - a sensible choice given the limitations of mobile GPUs. It's driven by a fourth-generation (Haswell) Intel K-series Core i7 CPU, which comes overclocked by default and is fully upgradable. The Alienware 18 also has an unclocked BIOS meaning you can further tinker with its settings should you wish. 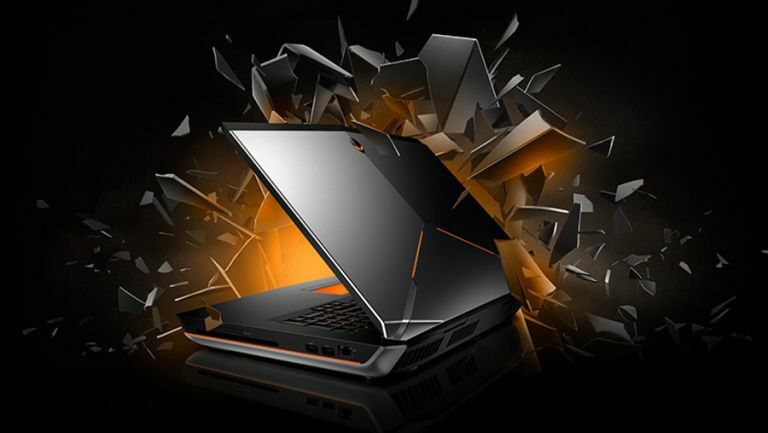 In terms of graphics, the machine comes with either dual Nvidia GTX 970M GPUs or twin Nvidia GTX 980M GPUs. You'll be able to load up the Alienware 18 with up to 32GB of RAM and up to four hard drives, according to Dell. Saying that, there seems to be just two choices at present – a standard 1TB hard drive, or the latter twinned with a 512GB SSD. Even the basic model of the Alienware 18 should fly, given that it's powered by a Core i7-4710MQ processor running at up to 3.5GHz with Turbo Boost. There's also dual GTX 970M GPUs in SLI (with 12GB of video RAM combined), 16GB of system memory and a 1TB hard disk spinning at 7200rpm. That model starts at $2550 (£1630) over in the US, but the Alienware 18 isn't available in the UK at the time of writing – hopefully we'll see it pop up soon.